Mizz Filipina is the sister of the succesful Mizz Thai website. It launched in mid 2017. It differs from most dating sites in that it is geared towards finding short or longer term travel companions. Thai Friendly is the most active Thai Dating website by far. Over 1 million members and 6000 online at any time. My Ladyboy Date is a site only for people looking for serious long term relationship. Casual dating and chat are frowned upon. Step out of line you will be quickly banned. Mizz Thai is a Thailand dating website with a difference. It can be used as a straightforward dating site but its main function is to meet potential short or long term travel companions. Well worth a try for something a bit different. My Thai Ladyboy was a small but exclusive website designed for people looking for serious relationships rather than just chat or casual meetings. Thai Friendly Ladyboys is the ladyboy ONLY version of the huge Thai Friendly website. Whereas the main Thai Friendly site is girls with some ladyboys. Vietnamese Love is a Vietnam only dating site from the same people who bring you the hugely succesful Thai Friendly website. 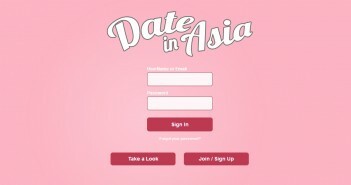 Date in Asia is a free website and is the largest of the multi-national Asian dating websites by far.